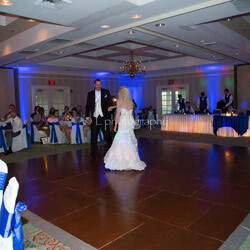 Transform your event space into something spectacular with our event lighting! We have the skills and lighting to make your event incredible! Please contact us to allow our team to create a custom quote for your needs! 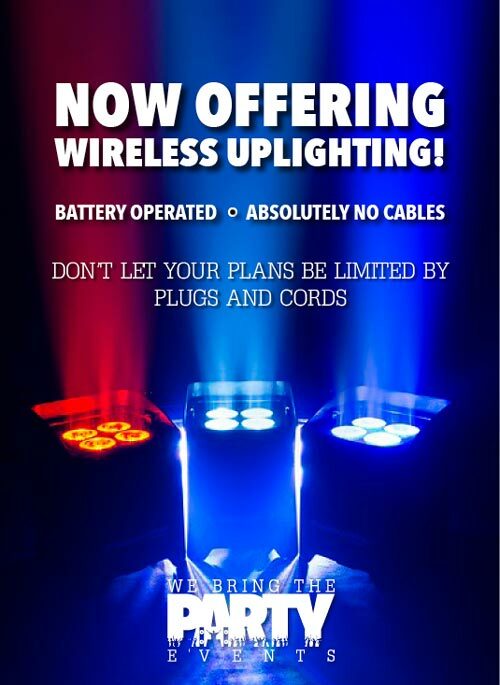 We offer LED uplighting that can be used in almost every venue! These lights can take an ordinary space and make it extraordinary. They don’t get hot and can be set to virtually any color you’d want. They are truely an amazing addition that raises the elegance of your event space. Get your initials, company name, school, etc. displayed in a very cool modern way. These “gobos” cast an awesome look onto a wall or floor. This is an easy way to raise the bar of your event. 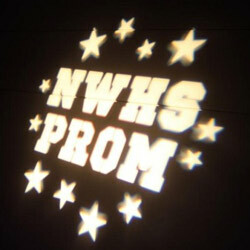 Also, the custom gobo can be used more than once! We give you this item after the event is over to be used again! 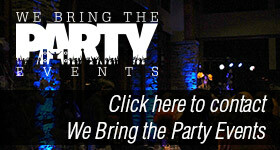 Each event and venue is different so contact us to allow us to show you what we can do! We offer discounts for multiple services… adding up-lighting could be cheaper than you think!